The mosquito-transmitted infection quickly spreading across Latin America has moved all the way up to Mexico, worrying Americans that Zika will reach the U.S. Although the virus generally has very minor symptoms aside from causing birth defects when pregnant women are infected, the speed at which it has escalated and the mosquito population's continuous growth means it will likely reach the country. No cases of someone contracting Zika in the continental U.S. have arisen yet, but the first American death from the virus was confirmed in Puerto Rico Friday. A 70-year-old Puerto Rican man living near San Juan contracted the virus and was treated for symptoms that lasted less than a week. He died from internal bleeding due to an uncommon immune reaction to the Zika infection in February, the Centers for Disease Control (CDC) confirmed last week. The news of his death wasn't immediately released because the CDC needed to make sure it was actually Zika that caused his death, not an underlying condition or infection. Dying from Zika isn't common among adults, though there have been three other deaths in Columbia. The World Health Organization declared the mosquito-transmitted virus a global health emergency in February after it became clear that the huge spike in microcephaly (a birth defect where babies' heads are much smaller than average) was linked to the outbreak. There have been 683 cases of Zika infections in Puerto Rico, as the small island has optimal conditions for mosquitoes. The states have seen 426, all of which involved people contracting the virus elsewhere or through sexual transmission from someone who was infected outside the country, according to the CDC. However, the type of mosquitoes that carry Zika live throughout the continental U.S., all the way from California to New Jersey. States in the very North and Midwest don't yet have the Aedes aegytpi mosquito, but the entire southern half of the nation already has present populations of the potentially dangerous species. 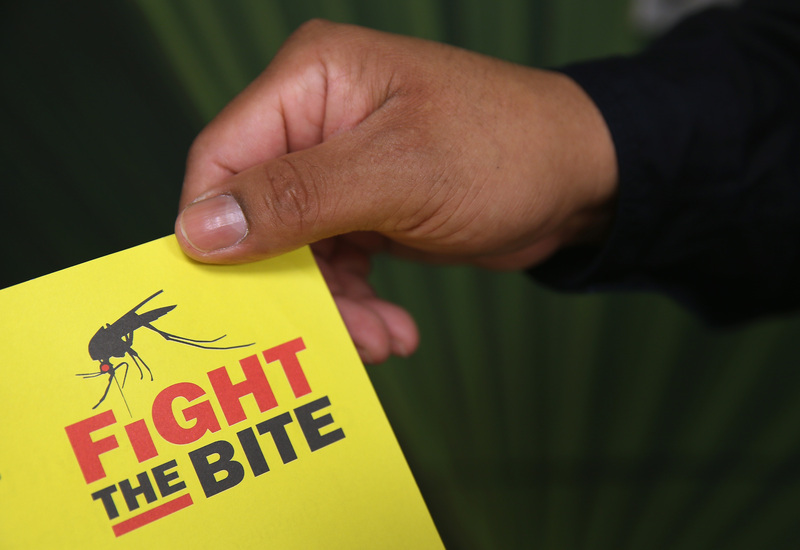 Once summer hits and mosquito season is in full swing, the virus will become a much larger problem for Latin America and, potentially, the U.S. The Washington Post reported in February that 1 in 5 Puerto Ricans were expected to contract Zika, increasing the chances of an outbreak in the states due to the constant travel between the continental U.S. and the island. Dr. Denise Jamieson, chief of the women's health and fertility branch of the Centers for Disease Control and Prevention, told CNBC's On the Money: "We know from other related diseases that are carried by same mosquitoes, that we are likely to see a small number of cases in the continental United States."